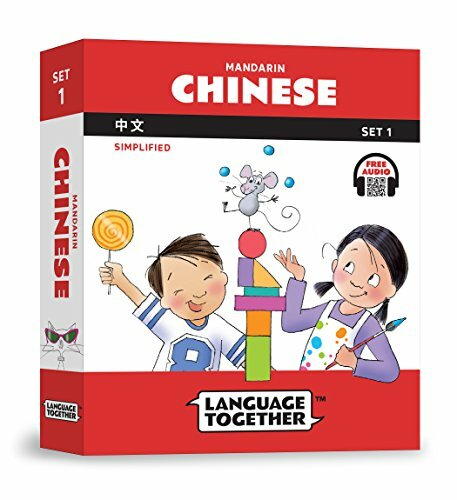 A perfect first series for preschool and early elementary children beginning to learn Mandarin. Babies and toddlers can listen and look. Illustrations by Nancy Meyers, recipient of the American Library Association's 2018 Geisel Honor. CONFIDENCE-BUILDER FOR BEGINNERS. Learning Chinese can be intimidating, but kids finish these 16-page readers with the audio and proudly exclaim "I finished this little story on my own--in Chinese!" APPEALS TO DIFFERENT LEARNING STYLES. Visual learners naturally understand the meaning of words and characters when reinforced by color and pictures. ENGAGING PICTURE READERS. Kids lose interest in flash cards but are captivated by words in a story. CONTEXT. Second language books often present words in isolation. Kids learn words with meaningful context. FLEXIBLE SUPPLEMENT. Used in schools and homes. An essential series for beginners learning Chinese. If you have any questions about this product by Language Together, contact us by completing and submitting the form below. If you are looking for a specif part number, please include it with your message.